Zero gravity chairs give the best comfortable position and feeling when sitting. These chairs are designed to put you into a position that enables you to elevate and move your legs thus helping in your circulation. 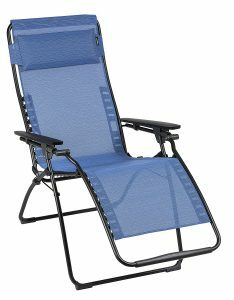 Zero gravity chairs are known to help you recover from muscle aches and back pains as they provide maximum relaxation. 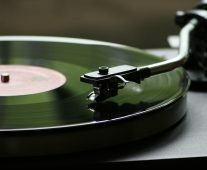 However, choosing the best seat among several types can be confusing we’ve come up with a review of the best brands you should consider buying. Caravan is one of the best zero gravity chairs you’ll ever purchase. It comes with an efficient locking system that allows you to adjust the chair to a comfortable position. If you want a portable and comfortable chair, the Caravan Sports Infinity will serve you. You can use it for camping, around the pool or take it with you to the beach. The Caravan Chair is available in various colors, so you just have to choose the one that suits you. This awesome chair has a dimension of around 25.5 x 45 x 64.5 when unfolded. It folds up to 6″wide. The chair is comfortable in terms of reclining, sitting or sleeping; besides, it uses a double bungee system that provides you with a weightless feeling. The Lafuma Futura model is designed to offer optimum comfort levels; for starters, it has contoured armrests, a footrest fitted with a ring to provide extra protection and comfort and an adjustable headrest that will come in handy while supporting your head. Another feature you’ll get to enjoy is the zero gravity recliner. It allows you to adjust the without having to stand up. Besides, the armrests are always stationary to help you stand up. The is easy to fold and move, you do not have to worry when you wish to transport it. In fact, it easily fits in your car trunk. The is mounted with a Batyline fabric that is easy to remove and clean. 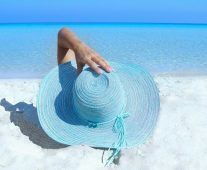 The fabric does not sag or tear since it is designed to resist mildew and withstand UV radiations. If you are looking for a unique gravity , you might consider purchasing the Timber Ridge oversized model. Incredibly, the comes with flexible bungee suspension system that is capable of supporting up to 350lbs weight capacity. In addition, the Timber Ridge comes fitted with a removable headrest as well as a padded back to enhance comfort. You can choose to have this excellent at your swimming pool, garden and patio. It’s easily foldable to enable transportation. This means it is perfect for the beach and during camping. Its wooden armrests are adjustable to ensure you always remain comfortable no matter the position you lock your . Finally, this model comes with a large plastic holder to support your soda or juice. The RST brands have the coolest shape and design ever. It has a fade resistant and woven PVC sling material. 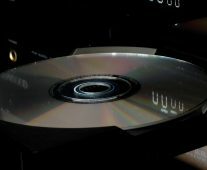 The good thing about this awesome product is that it is easy to clean and maintain. It is designed to fold quickly thus allowing transportation. If you are looking for simple and comfortable zero gravity chairs, you might choose the RST brands to complement your patio. It is available on color black, green, orange and beige. If you are looking to invest in a top quality zero gravity , you should consider buying this product. It comes fitted with a canopy shade to shield your eyes from sunlight. The is capable of leaning back while supporting your weight. It has a weight capacity of around 250lbs and it is fitted with locks to hold it in place. Incredible has a removable pillow and cup holder to put your cups or phone. Its folding mechanism allows for easy transportation and storage. The gravity chair is coated with steel that is coated with powder. The coating of the steel material ensures that the product does not wear and rust. The lying length of the chair is 65.2 inches with a weight of 250 lbs. The chair has a headrest that is adjustable. In addition, it is padded and can be removed. The feature ensures the comfort of the individual. The product is also affordable and durable when compared to other products available. Did you know that zero gravity chairs were originally designed by NASA? We’ll take a look at the different types and how to choose one. These type are regular and common for relaxation at home on the patio or at the beach. The mechanisms on these types of chairs may be electric reclining or manual. The materials making them include wood, steel and aluminium. Some come with additional features such as drink trays and sun shades. 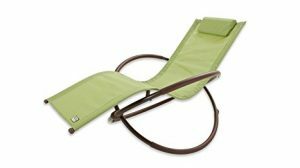 The other type not only have a zero gravity recline but also have the feature to massage. The mechanism for massage varies. It may be by the use of rollers, heating elements, airbags or a combination. Most noteworthy, the chairs available may offer only a back massage or a full body one. The gravity chairs design enable the user stay in a neutral position. Forces acting on the body spread evenly. This position takes away the natural gravity pressures from the vertebrate and spine. Positioning the body in a neutral position helps to relax the body. All the components of the gravity chair ensure the different sections of the body are relaxed from the legs, neck, head and midsection. The extreme recline of the body enables the lungs to expand fully. They are able to expand because the pressure on the diaphragm is greatly reduced. Furthermore, heavy breathing when relaxing on the zero gravity chair enhances the lung function. The relieve of pressure from the neutral body position the relaxation of the back, neck and lower back occurs. In a neutral position, the heart works more effectively as blood is pumped horizontally. Oxygen also circulates all over the body faster. 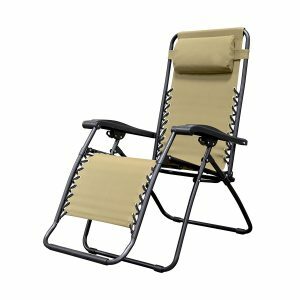 When purchasing a zero gravity chair in the market, it is important that you consider the following factors. When buying the chair, you should always consider the size and it should have enough support. It should provide maximum support wherever you use it. When you order your chair via online platforms, make sure that the company will be comfortable when you return it in case there is a problem. For instance, if you buy a chair that is not fit for you, you can always return it and get the one that suits you best in all aspects. The chair should be comfortable in all aspects. You should ensure that the arm rests are stable to provide maximum support, whether they can be adjusted and all that. 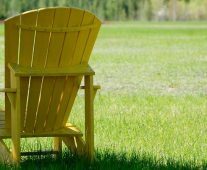 The gravity chair of your choice should make sure that you enjoy the rest of your relaxation period. When buying a zero gravity chair, it is important to ensure that it is worth. This depends on how much money you buy it. The chair should last so that you will not have to buy another chair every month or year. This can make you save some money to do something else. Spending some of your coins to buy a gravity chair is a great effort, always make sure the chair lasts. You should ensure that the frames are finished so that the chair will not rust in case it is exposed to water. The mesh should also be UV resistant. It is always wise to look at the customer reviews before buying an item on the many online selling websites. Although people are different and their views differ, look for the one that has used the same chair, as you want to use it. This will enlighten you and can help you remove the doubts. When you want to buy a zero gravity chair, make sure that you can easily take it from the box and use it as soon as possible. The legs should be installed or if not, you should be in a position to fix them and use your chair to relax. The bungees should be irreplaceable in case they get worn out. The zero gravity chair of your choice should allow you to sit and stand comfortably. In other words, the chair should be stable in all aspects. This ensures that you enjoy your chair as you relax in your favorite position. When purchasing a zero gravity chair, make sure that the locking system robust enough to remain in place. The chair should be firm on the ground to avoid collapsing which is dangerous and painful. The whole idea of buying the chair is to provide maximum relaxation but not accidents. 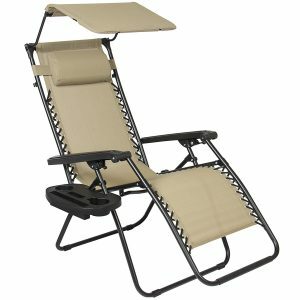 Zero gravity chairs are designed to make you make you enjoy and give you maximum relaxation as you rest. However, the choice of type of a chair varies from one person to another depending on the physical conditions. It is therefore important to understand thoroughly the factors you should consider before buying a zero gravity chair. 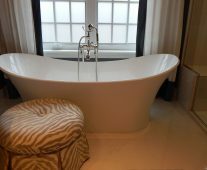 If you are looking for more ways to relax at home, a soaking bathtub has that same weightless feeling of relaxation as a zero gravity chair.